In December 2013, we decided with some good friends to go on a road trip in California. I just wanted to share our roadmap from Los Angeles to Los Angeles accross ‘The Golden State’. When planning a visit to California, make sure you reserve and schedule the following visits. These attractions are quitly fast filled-up and you don’t want to miss anything? Alcatraz Island (National Park), San Francisco. Helicopter Flight, at the Grand Canyon. Plan to buy an annual pass for the National Parks. You can pick it up at the visitor center of a National Park Visitor Center and it costs approximately 80$. As we didn’t want to be strapped to the schedule and wanted to have some flexibility, we decided only to reserve a sleeping spot on some key locations during our journey. However, a tent will be bought.. Just in case! Wondering about the gas price? No need to look further, everything can be found on this website. Fyi: 1 gallon = 3,79 liter. Oh yes it is… very cheap compared to the Belgian gas prices! Take-off is scheduled at 10:05 CEST in Brussels Airport. There is no direct-flight, so a little stop is required in Frankfurt. If we don’t encounter any problems on the road, we should be arriving around 16:40 PDT. Before going to the hotel, we need to make a little stop to pick-up our car at the car rental service. After a very long day and probably a too short night of sleep, we are starting our adventure at Los Angeles. Our first day includes a visit to the local supermarket to gather some supplies such as some bottles of water, a flashlight, some toilet paper, an US map, etc. In the afternoon, we’ll going to take a bit easy -we’ll still be recovering from jetlag I presume- and visit Universal Studio’s and perform a little stroll through Hollywood. On the road to Phoenix, we are planning a stop at Joshua Tree National Park. First of all, we pass at the visitor center to buy an annual pass for all the National Parks in the States. Once done, we’ll get our stuff and start with some hiking in the park. A nice know-it about Joshua Tree National Park is the fact it’s pretty much the same size of West-Vlaanderen. In fact it’s still approximately 55 square kilometers larger than West-Vlaanderen (3.144 km2). 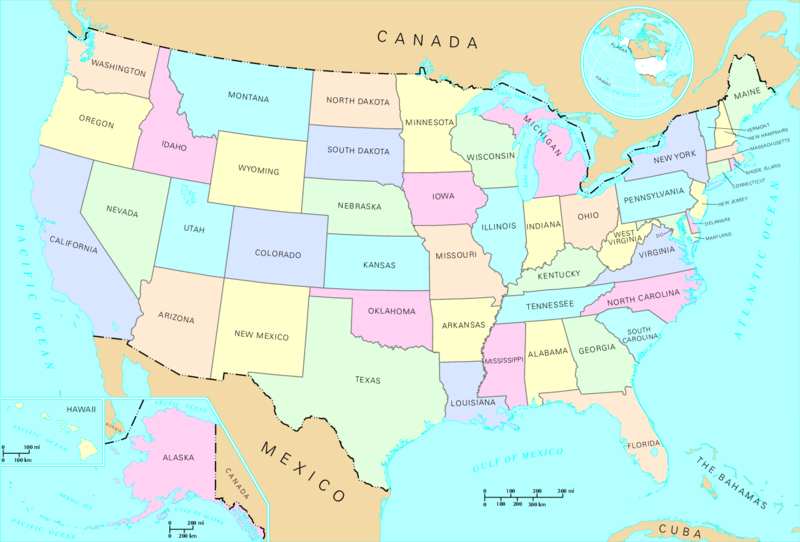 The park is know for his two different parts of dessert (the higher Mojave Desert and the lower Colorado Desert. The name of the park is derived from the Joshua Tree. The park includes some hiking trails, camping spots and a guided drive tour which requires an all-terrain car. In the morning we will be travelling towards Phoenix with a regular stop to enjoy the view of the landscape. Some research on the internet led us to Shooter’s World in the state of Arizona. Shooter’s world provides the ability to rent guns on an hourly-basis and test them out on the shooting range. After having some fun at the gun range we will continue our trip in the direction of Flagstaff (Grand Canyon). 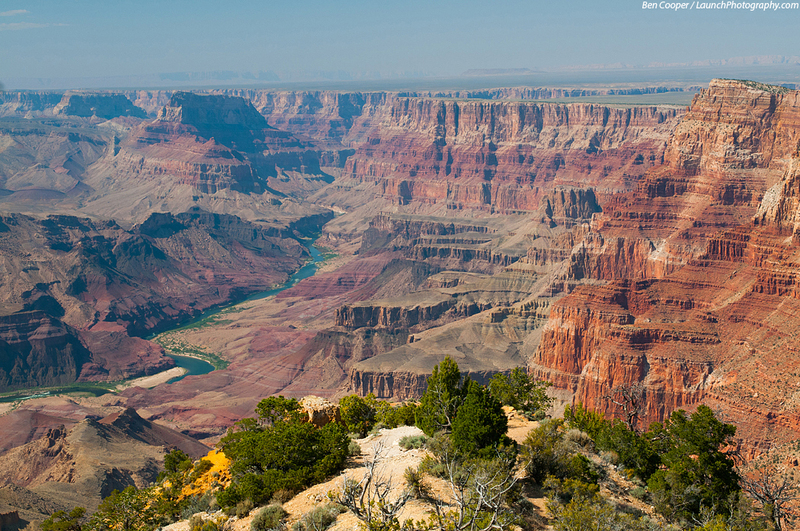 Today we’ll be visiting one of nature’s finest locations: the Grand Canyon. Carved by the Colorado river, the Grand Canyon reaches a total distance of 446 kilometers and attains a depth of 1.800 meters at certain places. 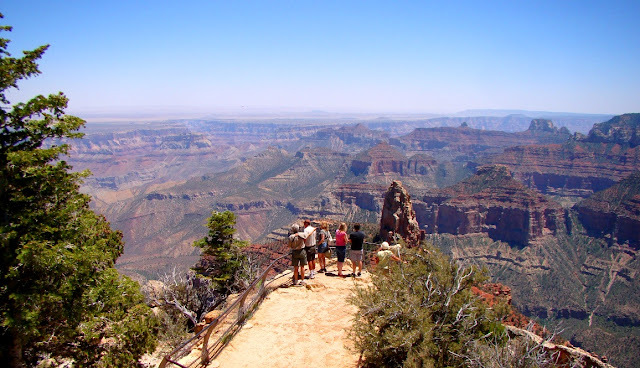 The national park exists out-of 3 main locations: Grand Canyon North Rim, Grand Canyon South Rim & Grand Canyon Skywalk. As these locations (driving distance between north and south is approximately 344 kilometers) are a bit out of range of eachother, we decided only to visit two of them. A visit to the SkyWalk will be postponed to a later day as an addendum to the Hoover Dam. Please note a visit to Grand Canyon is included in your annual pass, however an additional fee of 15$ per verhicle is in place. Once payed, it can be re-used in a 7-day range for both the North -, as the South rim. We continue our trip towards Monument Valley with a short stop at Horseshoe Bend. They told us there isn’t that much to do over there, besides sightseeing at the rim. So basically, today is a day we will spend a lot of our time in the car driving in the direction (480 kilometers) of our next-stop. Today is one of my personal favorites of the road trip. 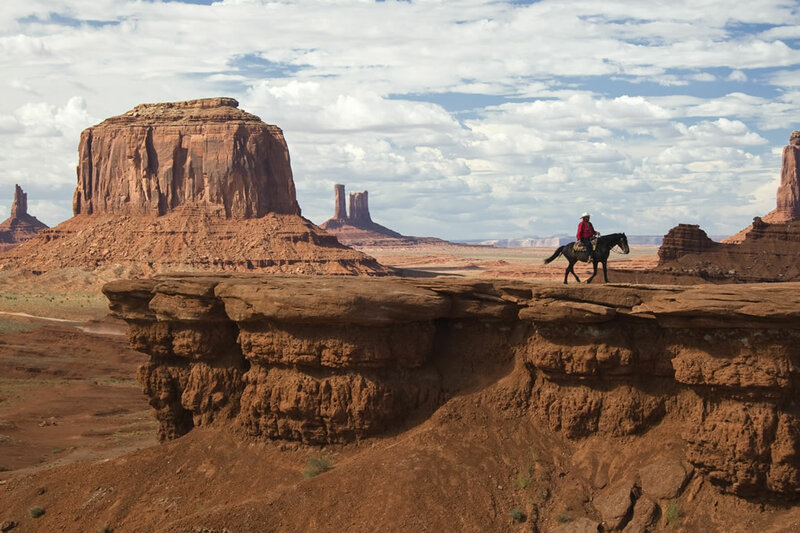 The drive through the scenery of so many Western movies: “Monument Valley”. We will tend to get a sleeping spot over here, as they told us the sunset can be extremely beautiful. Starting to work our way back down to Las Vegas. Our first stop in this trip is Lake Powell. 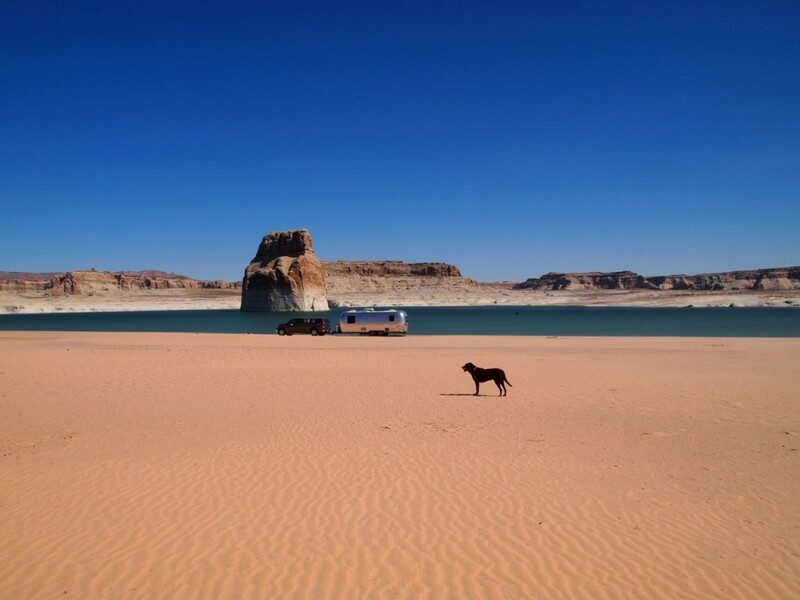 Depending on the weather, we can take the rest of the day off and spend some time at the beach of Lake Powell. On other option could be to navigate to Antelope Canyon and create another buffer day. Today’s visit? Antelope Canyon and Zion National park. Antelope Canyon consist out of two smaller canyons marked with a very specific structure and texture. The two canyons are named the Lower – and the Upper Antelope Canyon. The park is not managed by the National Park Service, instead it’s managed by the Navajo Nation. It means you can’t use the annual pass and you need to pay something between 30$ to 80$ for a guided tour per person. As a second part, we’ll drop by Zion National Park. Also here an additional fee of 25$ needs to be payed. If it seems really interesting, we can opt to do some hiking on our buffer day of the 27th of August. Bryce Canyon! Some people say Bryce Canyon is more impressing than the Grand Canyon. And if you see the pictures about the landscape, the view and the odd structure of the rocks.. I tend to believe they have a good reason. The area was settled by Mormon People and is named after Ebenezer Bryce, who homesteaded here during the 1870ties. After strollin’ 10 days, we opted to plan a buffer day before heading to Las Vegas. Basically, we don’t know what we are going to do with this day. There is a rather large chance, it will be a take-it-easy day.. If we wan’t we can still visit one of the last parks to do some hiking. Las Vegas, the city that never sleeps. First up.. Walking The Strip, catch some of the spirit living in the casino’s of world’s most-known gambling city in the middle of the desert of Nevada! We tend to leave on-time as we have a busy day ahead of us. First stop, the Hoover Dam and additionally the Grand Canyon Skywalk. The Hoover Dam has been constructed in 1931-1936 by thousands of blue-colour workers. During the construction, hunderds of workers lost their life. Some people say, we will never know the exact number. The dam has been named after President Herber Hoover (31st President of the United States). The construction has been completed in the term of President Franklin D. Roosevelt (32nd president of the United States). Did you know the rivers originating from the Grand Canyon are the ones filling up the lake which is the border between Nevada and Arizona? Second stop of the day is the Grand Canyon Skywalk which is on approximately 2 hours of driving distance. 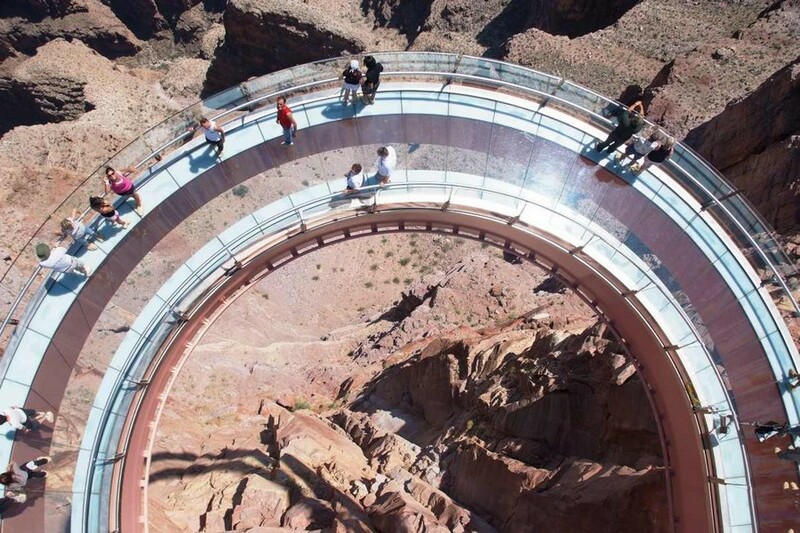 The skywalk is a construction made of iron and glass that hangs over the rim giving you an extreme point of view. Next large city on the list: San Francisco! First stop on the route: Death Valley! Located in the Mojave Desert is known by most people for the extreme conditions. Death Valley is the lowest, hottest and driest place in North America. Maximum temperature ever measured is 56.7°C. Another reason why people know Death Valley is for his different saltpans, and the lack of flora. And.. again a day we will spend most of our time in the car. Distance to our next stop is approximately 550km and takes about 6 hours. Maybe we should use some of our time remaining from the day, to do some washes in a launderette. “A land of Giants”. One of the must have seen locations is Sequoia National Park / Sequoia National Forest. The Sequoia tree is known for their extreme size and red colour. The largest tree within the park is the General Sherman tree with a total height of almost 84 meters, a diameter -at the bottom- of more than 11 meter and an estimated age of 2.200 years. Therefore the Sequoia tree is also referred as the Mammoth Tree. The most famous trees to be found in the park are: “General Sherman”, “General Grant”, “Washington”, “President” and the “Lincoln”. Kings Canyon can also be visited within the same perimeter of the National Park. As the name indicates, the National Park is actually a Canyon with several rivers and lakes. Yosemite National Park, the location of “El Capitan“.. The big wall conquered by Tom Waes (official website) during a 4-day climb in one the episodes of Tomtesterom after 14 days of training. To be honest one of the better progams on Belgian National Television (another one is Reizen Waes). Before anyone dares to ask, no we will not try to climb it… We aren’t nuts :-). We are moving towards San Francisco and reserved a sleeping spot in San Francisco, we decided to plan a buffer day in case we want to spend some more time at one of the parks, do some laundry, enjoy the day, visit a nearby city, …. I’m quite sure we will find something to do! Riding the cable car in San Francisco, cycling the Golden Gate bridge, a little stroll in Chinatown, a slip over to Sausalito, a visit to Alcatraz, … These are some of the things planned during these 3 days. The main event is our visit to Alcatraz or “The Rock” as they call it. A good piece of advise? Get your tickets at least a few weeks in advance, as the free spots are quickly depleted. Buy them on the official website to avoid being scammed. The island – characterized by the lighthouse and the federal penitentiary – offers a view on the city of San Francisco. But not many people know prior to the federal penitentiary, the buildings were used as civil war fortress. 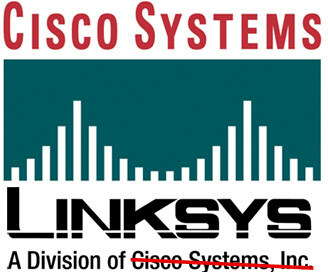 An another popular seeing sight is the Golden Gate Bridge, an icon for the city and is also used by Cisco and Linksys as the company logo. I really hope we can see the bridge in it’s full glory, they told me most of the year the bridge is covered in clouds limiting the view. And last but not least.. a trip with the cable car. The hills of San Francisco are too steep to allow regular trams to be used. The cable car uses the cables too pull the car to a higher level. The cable car is only used on the steep hills, on the other routes regular trams are used (such as the PCC). Intel Museum (2200 Mission College Blvd, Santa Clara). Driving Highway 1 from San Francisco towards San Diego. the state route is also named differently on various locations, such as Cabrillo Highway, Coast Highway, .. It starts somewhere around Fort Bragg and ends near San Diego. During our trip we will pass Monterey Bay where you can take guided tour to view whales, etc. You can visit Hearst Castle, a historical mansion near San Simeon in Mediterranean Revival of the beginning of the 19ties to break your trip of approximately 7 hours in two. Basically our first day we didn’t plan! The plan is to do nothing and enjoy the sun – fingers crossed – on the beach of Santa Monica. The beaches from Malibu to LA were the scenery of Baywatch, a popular serie which was on air the 90ties. After a day doing nothing, we proceed towards San Diego. San Diego a city located next to the Mexican border. We planned a visit to the USS Midway, a flight carrier of the American Army. Additionally we planned a visit to the Old Point Loma lighthouse, Fort Rosecrans Cemetry & the San Diego Air & Space Museum. On our road to our final destination and the location where our adventure started: Los Angeles.. Next night will be the last night in America. Tomorrow we’ll be heading homewards to Belgium. We will fill our day probably by doing some shopping and strolling in LA. time to drop-off our car at to make our way to the airport. Our flight takes of around 08:40 and makes a little detour to Washington before heading to Brussels Airport. We should be arriving around 7:15, so we will be more than on time to join Belgium traffic jams.